How to have personalized and admin view to see list items? For one of the lists, I have applied grouping by Created By. The list basically shows items submitted by users as part of the form. What I want to do is, when a user is logged in, he/she should only be able to see his/her submitted items and then for one of the users (admin), I would want her to see the entries submitted by all the users in the organization. Is there an easy work around for this? please help, thanks in advance. 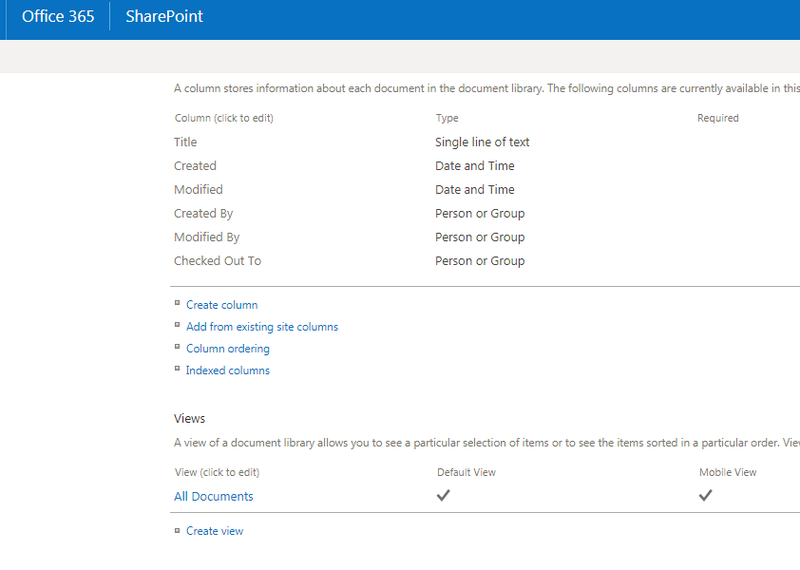 FYI, I am working with SharePoint online. go to Library\List Settings scroll down to views. click on the default library\ List view. Rename the view to a proper name. 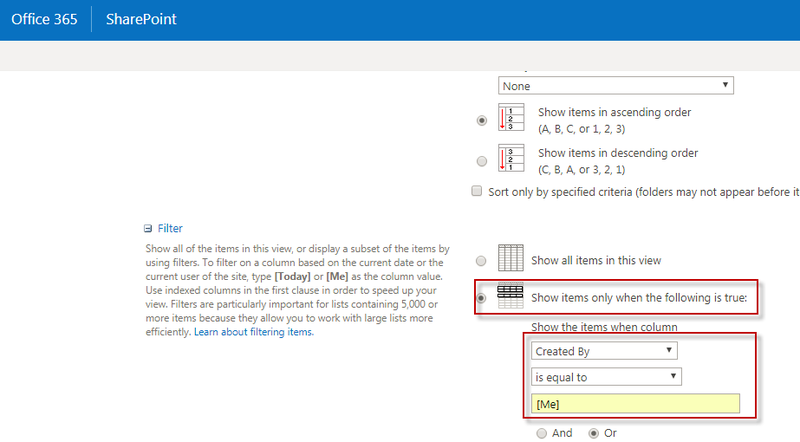 under Show the items when column Select Created By field. in the textbox below write [Me]. to do this should login with the administrator account. in Choose a view type click on Standard View . Check the requited fields to be available in your view and Save. How to query current user created items? How to default search to organization to see promoted search?